Mavericks are never short on bright ideas! Come and learn about what students are researching and discovering; March 1. Mavericks are never short on bright ideas! 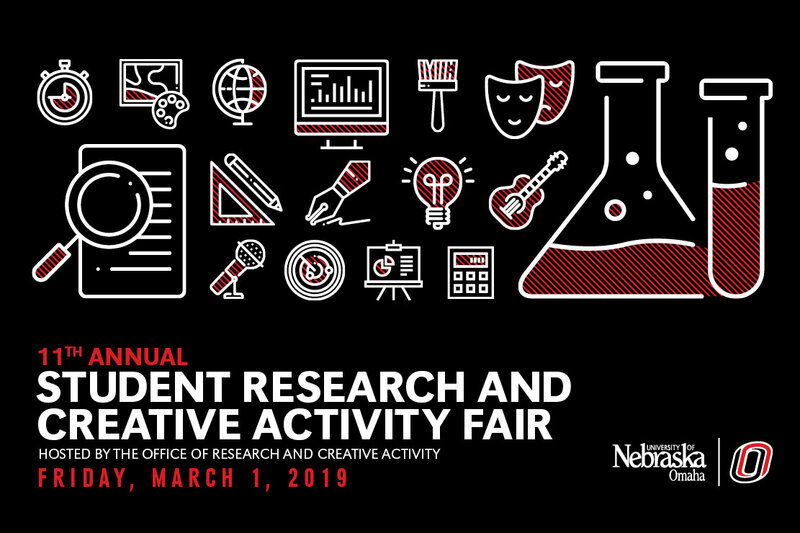 Come and take a look at their scholastic endeavors and achievements during the 11th Annual Student Research and Creative Activity Fair on Friday, March 1, 2019, in the Criss Library. All students from all disciplines and departments, including engineering students from the Scott Campus will be presenting. Prizes are awarded for top posters/demonstrations/exhibits, and oral presentations/performances. Please contact the Office of Research and Creative Activity at 402.554.2286 or unoorca@unomaha.edu with questions.